C7 Aerospace produced the 200-series for higher speeds during flight. The ‘Albatross’ was intended as a long-range, high-speed transport, capable of high-subsonic cruising speeds. 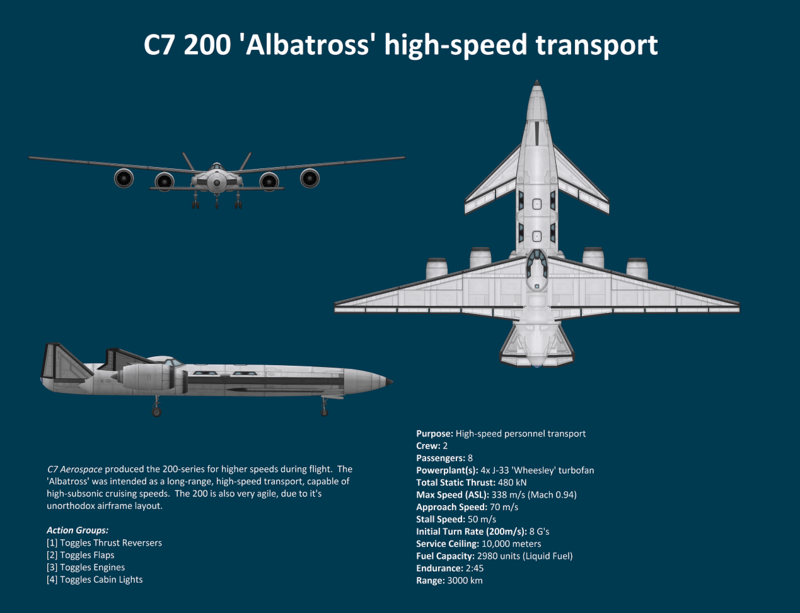 The 200 is also very agile, due to it’s unorthodox airframe layout.